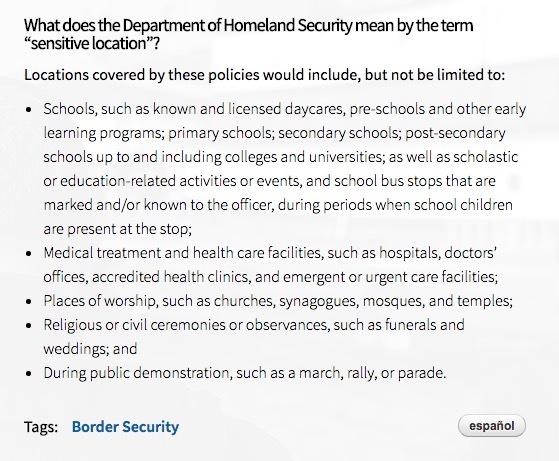 The U.S. Customs and Border Protection Agency has a page on its official website titled, “Secure Locations FAQ” which is essentially a guide teaching illegal immigrants how to avoid deportation. CBP explicitly states that these “sensitive locations” are still subject to “enforcement actions,” but notes that they are still highly unlikely to occur in these zones. 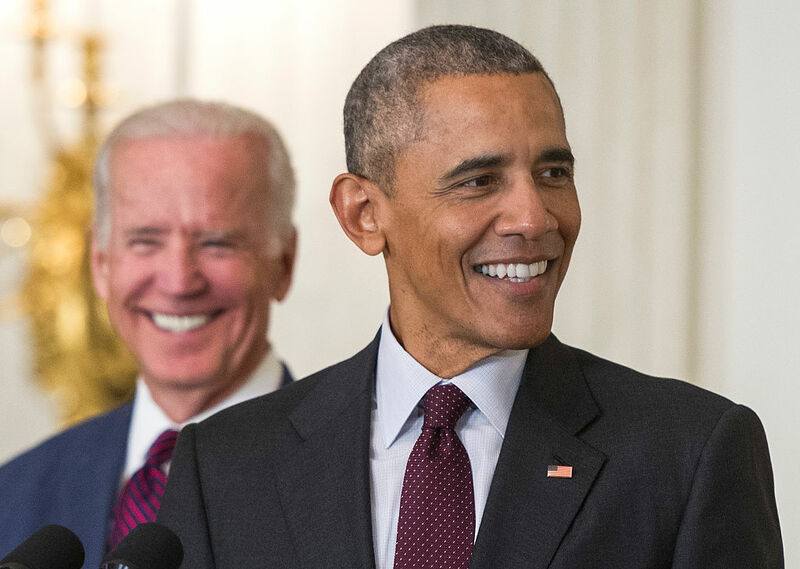 In other words, unless the government can directly prove an immigrant is “related to national security, terrorism, or public safety,” they cannot be deported from secure locations. The guide also features “Español” buttons, which provide Spanish translations for each answer. There are translations into any other languages. 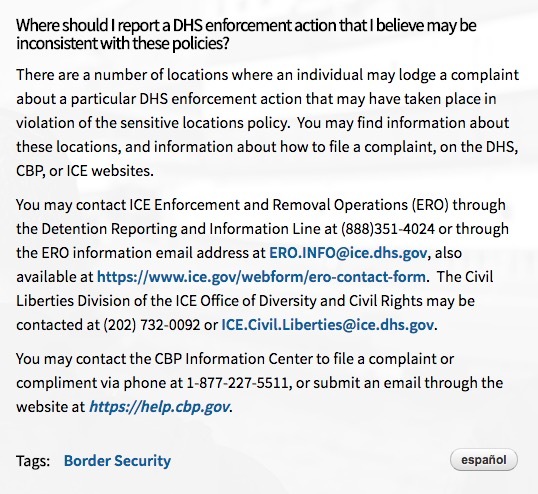 Finally, CBP offers contact information for anyone who believes that enforcement actions are unlawfully taking place on these designated secure locations.